Mark your calendar for Nashville's biggest event!! 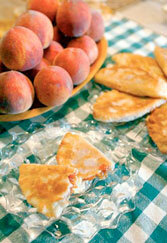 "Mastering the old-fashioned Fried Peach Pie", along with cooking tips and samples. Cookbook Areeda's Southern Cookbook, a collection of old-fashioned recipes will be available. Check out Southern Womens Show Nashville for more details. Addl appearances to be added.